Amal and George Clooney were in Laglio at the Villa Oleandra to celebrate the engagement of Amal’s brother, Samer Alamuddin and the birthday of his father Ramzi, 80 years. On Instagram, Tala posted a picture sailing on Como lake for her father’s birthday. Gosh! You will be so busy Nati with the Met Gala coverage. So many outfits. I finally got myself a Heidi London sunnies. Thbak you for identifying them! Nati, did you notice this is the first picture without Amal in the middle, center of attention? Wow, it must have killed her. In this pic is Tala and Nico ( right, her sis) And opposite sirde her sis in law Rema and brother Zayed – parents , and Samer and a great gal his new fiancé !! What a wonderful photo ! I wonder if samer’s fiancée is Lebanese? His fiancée looks really pretty. can you tell us her name? how did you find this pic? I love how the Clooney’s and the Alamuddin’s are close family – I think this is one of the core values that Amal and George have in common. So sweet to see everyone together! Soos how are you able to post so much about their private lives, and now a photo, just because you’re somehow friends with one relative on Facebook? This is unethical and I’m sure they will soon figure out who you are and cut you out. This is really bad form. Soos take pity on ‘Jackson’ as he is obviously is an unhappy person with clearly demonstrated emotional disturbances. No one who has a happy fulfilled life would post as Jackson does. 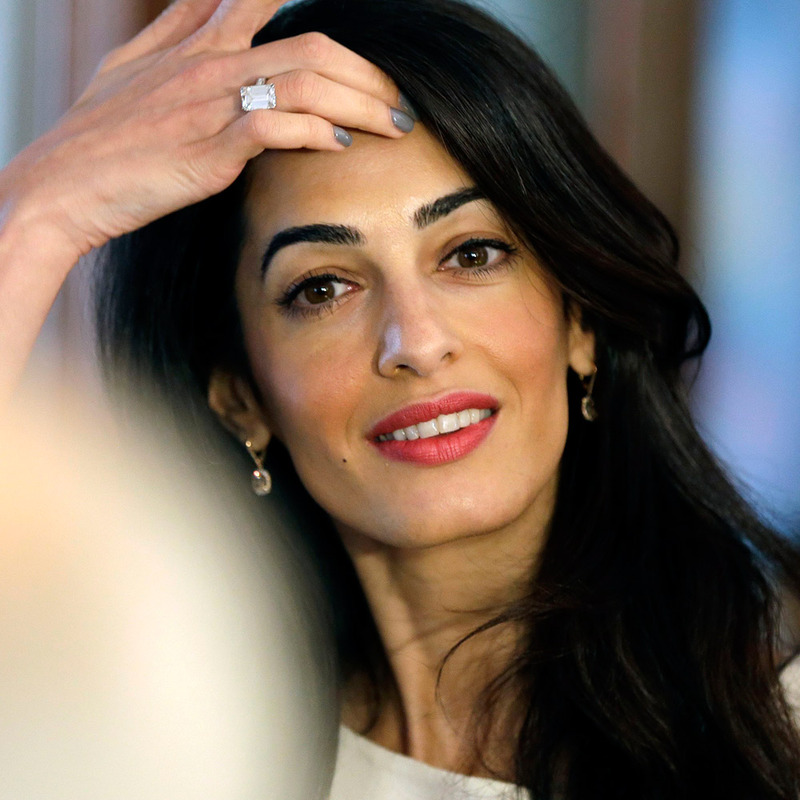 Whether we/I agree with Amal, her life or fashion choices, is irrelevant. You’re better than him, let Jackson be ignored as he was most likely growing up and have compassion for his sad disposition. Kendall u are right friend – society should take more pity on people like Jackson – I will try harder. Thanks for the reminder friend ! Sally- I agree but that’s Soos. Just making things up as she goes. She says she was trained as a lawyer. Ha! Jackson I won’t even lower myself with you any longer- as many have already done-my educational background and career accomplishments I take pride in and worked very hard to achieve IT IS SAD THAT WOMEN LIKE YOURSELF ( if you are one) have to cut down each other’s achievements. Take your jealousy and use that energy to expand your knowledge- they have grants for intellectually disabled women in California. Zip it, Sally. How rude. Baria seems like a beautiful matriarch.. Are the half brothers due to a divorce or their mothers passing?